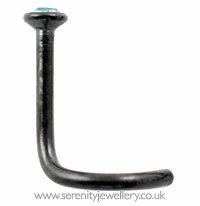 Hypoallergenic black PVD titanium nose/nostril studs inset with 2mm crystals. I love the way this looks. Smooth process. 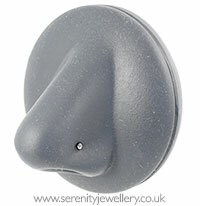 I don't know much about nose studs, which may be why these were too thick for my daughter to wear. And no one else wants them. Personally, I think that they look lovely though! 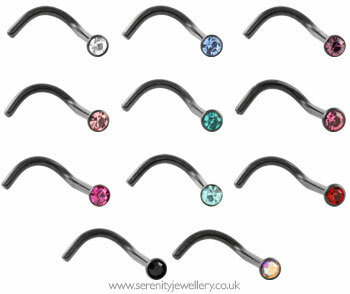 Such a pretty nose stud, fits perfectly - will be able to buy a whole selection of colours!